Wow, has it really been 28 years since the last DC Comics Secret Origins series? 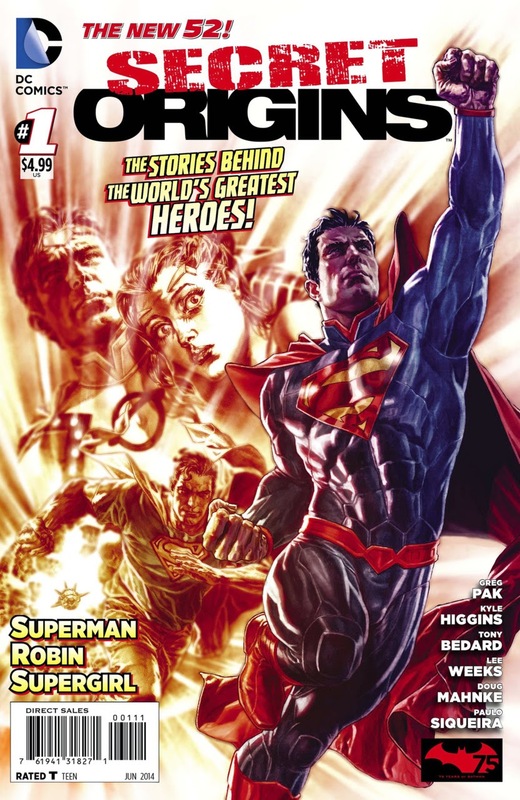 The New 52 Secret Origins series debuted this week. I would have picked up a copy at my Local Comic Book Store, Book Review - in the Hillcrest Shopping Center, the 19th Street exit off Highway 52 - but I am in Kiev on an extended stay bringing my daughter Masha home through international adoption. I'm not sure I would pick it up even if I weren't out of town. Not that I have anything against my Local Comic Book Store, Book Review - online at www.bookreviewmn.com - it's just that I have most of the issues from the previous series; and, well, except for a few, minor details, not much has really changed. I'm a DC Comics fan. I am a Batman fan. I like a lot of the DC Comics characters. 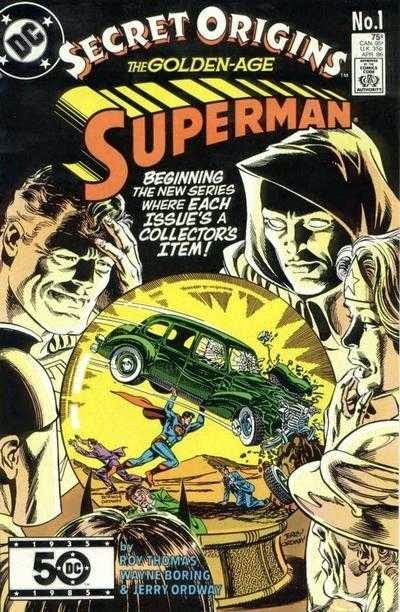 Having read a good deal of comic books over nearly a half century, I've seen my share of "Secret Origins". Originally, Batman was just a guy that dressed up as a bat to fight crime. In his first story, "The Case of the Chemical Syndicate" Bat-Man as he was called then, was just a guy who fought crime in a bat-themed costume. He was a bored millionaire, Bruce Wayne. Bruce was close friends with Gotham City Commissioner James Gordon. They were enjoying their pipes when word came of a murder that led Batman to uncovering the mystery. Later, it was revealed that Bruce Wayne's parent were murdered in a robbery, leaving young Bruce orphaned. As Bruce grew up he developed his mind and body to physical perfection, looking for the opportunity to channel his grief and loss productively. He was looking for an answer when a bat flew in through his study window. He took the bat as a sign. Realizing that criminals are "superstitious, cowardly lot", Bruce decided to turn the tables and inspire fear in criminals by dressing as a bat to wage a never-ending "war on crime". 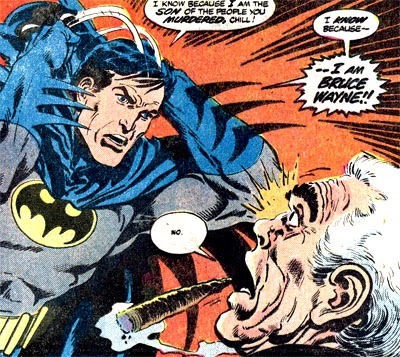 Bruce Wayne was the victim of a faceless crime. That is, his parents were murdered by a faceless criminal. That was the story for many years. Until, the robber was given a name. Joe Chill. Bruce was given an opportunity to hunt down the man who murdered his parents and bring him to justice. Batman confronts Chill with the murder of Thomas and Martha Wayne. Chill calls Batman's bluff. 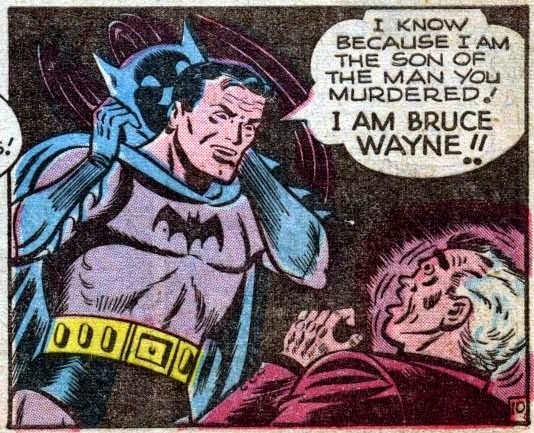 Batman pulls off his mask and reveals that Chill's murdering the Waynes led to his becoming The Batman. Chill runs from The Batman for back-up from his gang. He tells his gang that he is being chased by The Batman, because he is the one who created the vigilante hero. In a true Twilight Zone twist, Chill's gang turns on him and kills him for creating crimes worst nightmare. Batman catches up and watches Chill die. He also brings Chill's gang to justice as well. Since that classic 1948 story, Batman's origin has been re-told many times over the years, with new details added. He's not the only one. 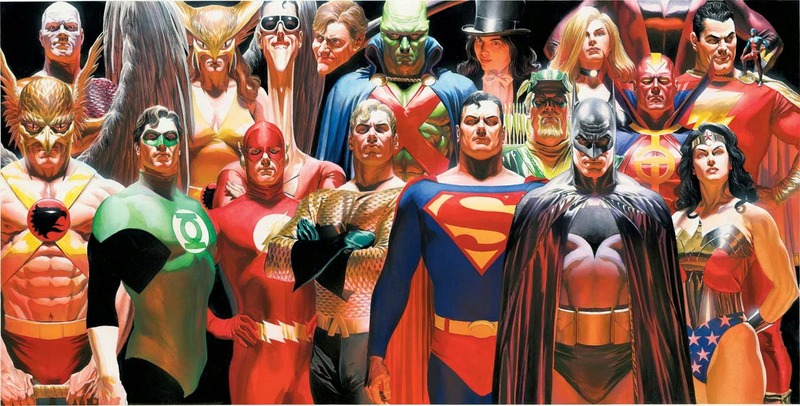 Nearly all of DC's characters have had their origins told and embellished time after time. 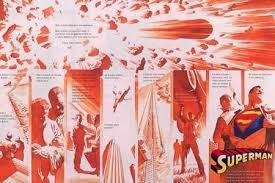 We know so much more about Superman's home planet of Krypton; his youth in Smallville; how Supergirl's family and Argo City was launched into space when Krypton exploded; and how capitol city Kandor was shrunk by the villain Brainiac and preserved from the planet's destruction. Re-telling Secret Origins is not limited to the comics. In the 1989 Batman film, it's hinted that a young Jack Napier, before he became The Joker was responsible for the Waynes' murder. Later, in Batman Begins, it is back to Joe Chill, but with the 1956 twist, that it was a murder-for-hire by the Gotham Underworld. Meanwhile, nearly the whole first third of The Man of Steel is set on Krypton setting up not only the planet's destruction, but General Zod as the villain of the story. 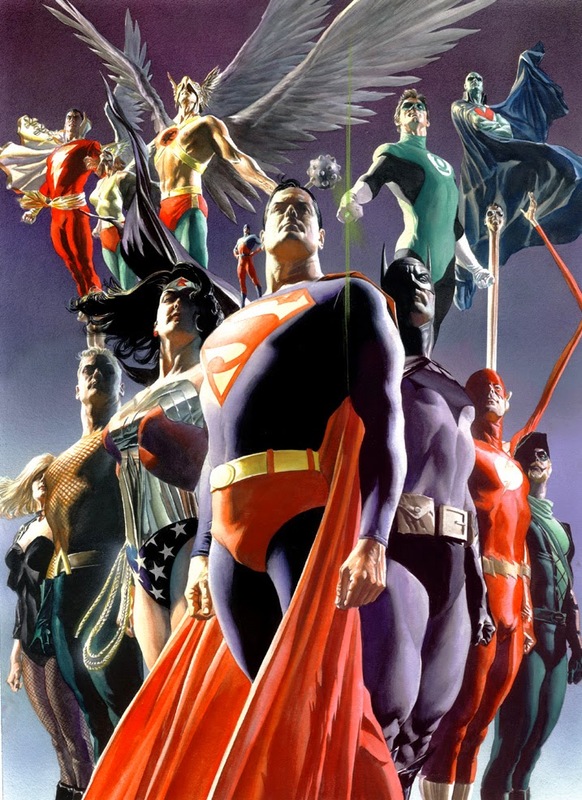 My favorite Secret Origins has to be the over-sized JLA: Secret Origins, written by Paul Dini with art by Chicagoan Alex Ross. Dini and Ross had done four individual Secret Origins to open Superman: Peace on Earth, Batman: War on Crime, Shazam! Power of Hope and Wonder Woman: Spirit of Truth. Those four and the rest of the Justice League, not including Firestorm - who joined the team in 1979 - are included in over-sized trade paperback. The origins were a primer to the over-sized graphic novel JLA: Liberty and Justice. These are the most basic of origins, each one a two-page spread. Told either in first-person, or by someone close to each hero. They are pretty much personality driven, conveying the character and how each hero was molded and developed. These origins focus on the core values of each hero. To me, JLA: Secret Origins by Dini and Ross are the essential origins. There really isn't much that this new Secret Origins series can do to top what they've done. Maybe someone can come along and clean up Supergirl's origin. That is one hot mess! But overall, I'd rather see the characters in good stories than celebrating their "birthday" over and over again. I would have liked to bring JLA: Secret Origins or JLA: Liberty and Justice on my trip to Kiev. There just was no way to pack them. I did bring along all three trade paperbacks that make up the Alex Ross-Jim Krueger-Doug Braithwaite series Justice. This is the third trip that I've brought Justice along as a creature comfort from home.